Our week-long winter tour in Georgia is a great chance to combine skiing holiday with the cultural day-tour of Georgian capital Tbilisi, Mtskheta and a wonderful experience of Borjomi winter forest trekking. 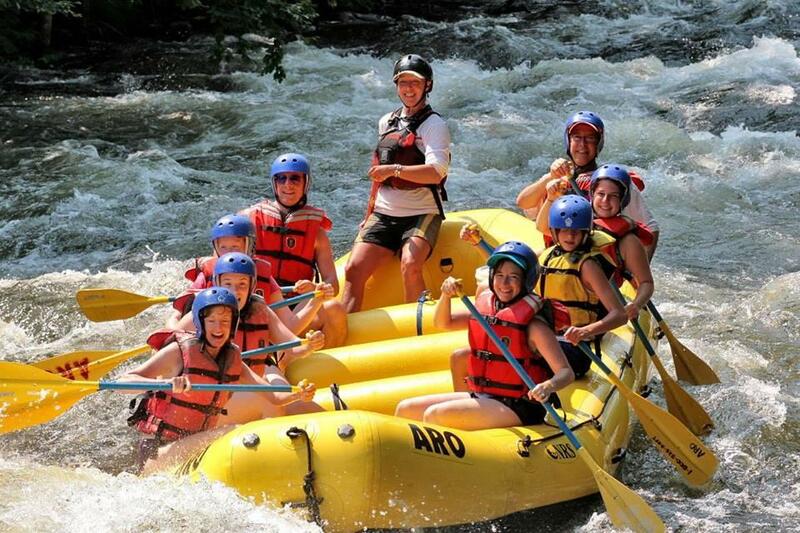 The Georgia ski tour will gift the best winter memories and adventurous impressions. 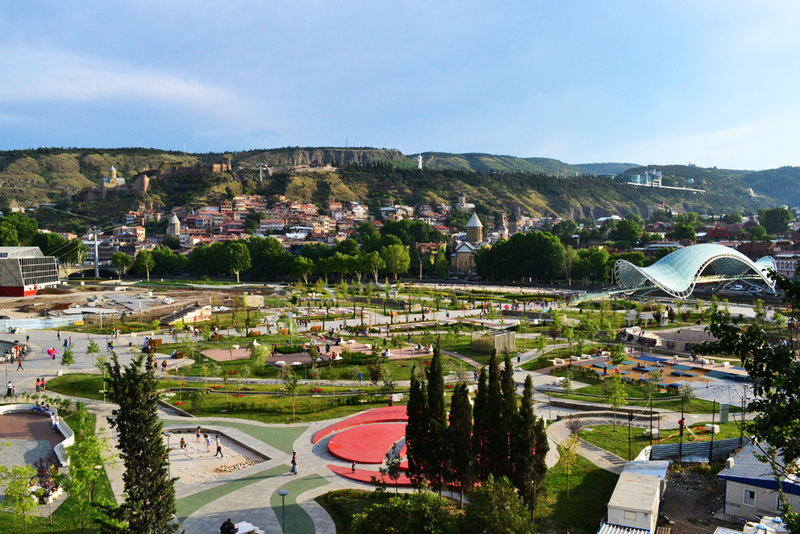 the legendary king – the founder of Tbilisi, and soak up the atmosphere in bustling Meidan Square. 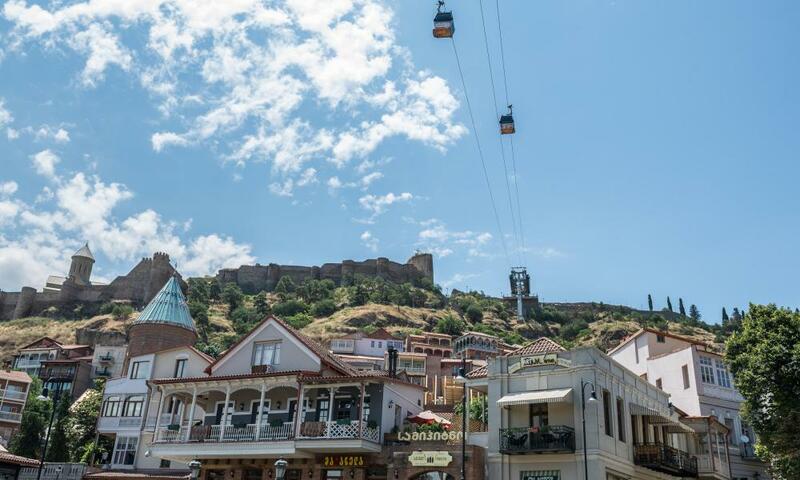 Take a cable car to Narikala Fortress to enjoy breathtaking panoramic view of the city. 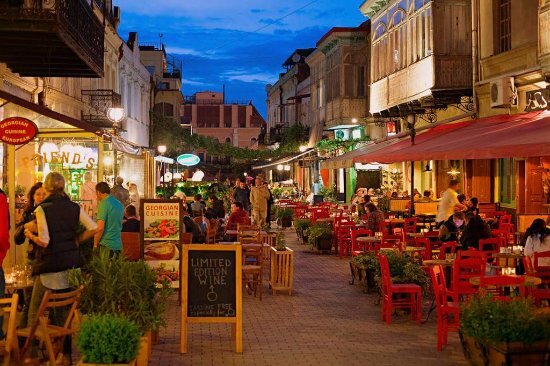 stroll through the famous narrow streets of old Tbilisi, Chardin st. Erekle ll st. : with cosy cafés, wine tasting bars, souvenir shops, terrace bars with live music, disco night clubs and breathe in the living past. 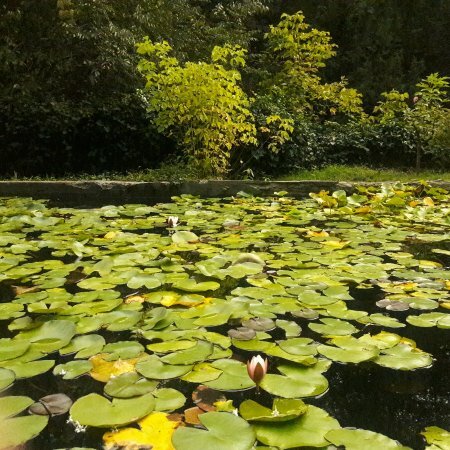 walking in the Tbilisi botanical garden. 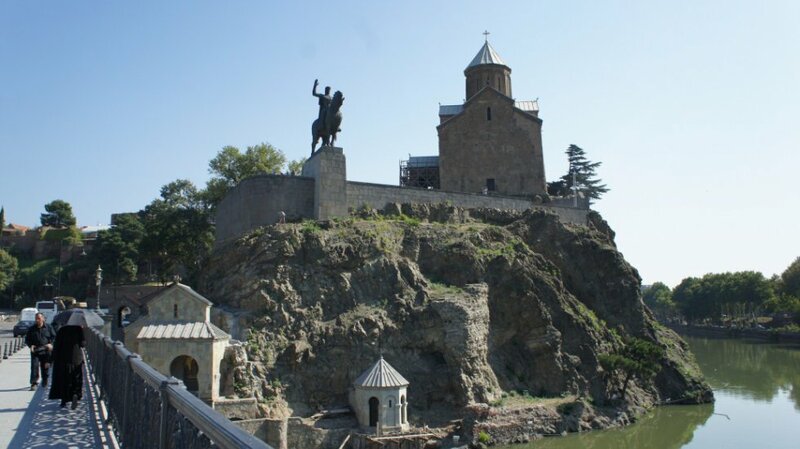 2 Day – Trip to Mtskheta, Discover UNESCO World Heritage treasures in Georgia on this tour from Tbilisi. 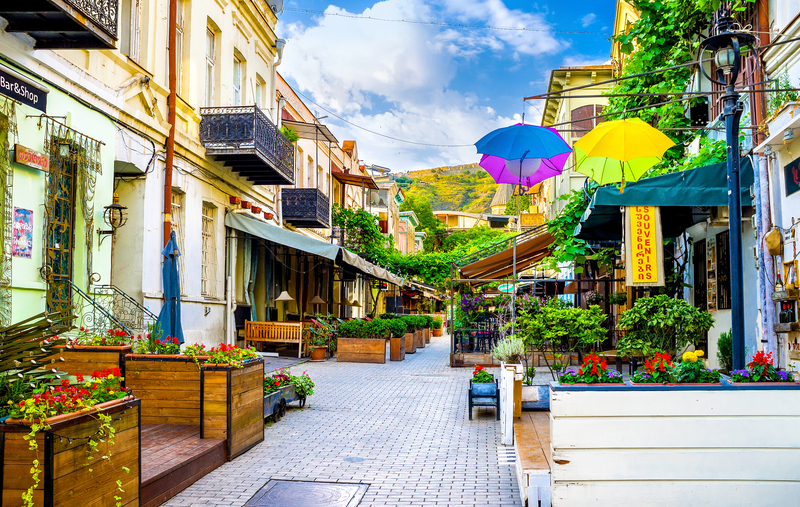 Explore the historic town of Mtskheta with a private guide and discover UNESCO–listed attractions including 6th-century Jvari Monastery and Svetitskhoveli Cathedral. 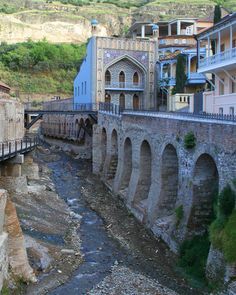 An ancient town of extraordinary importance to the Georgian nation, located about 20 km out of Tbilisi. 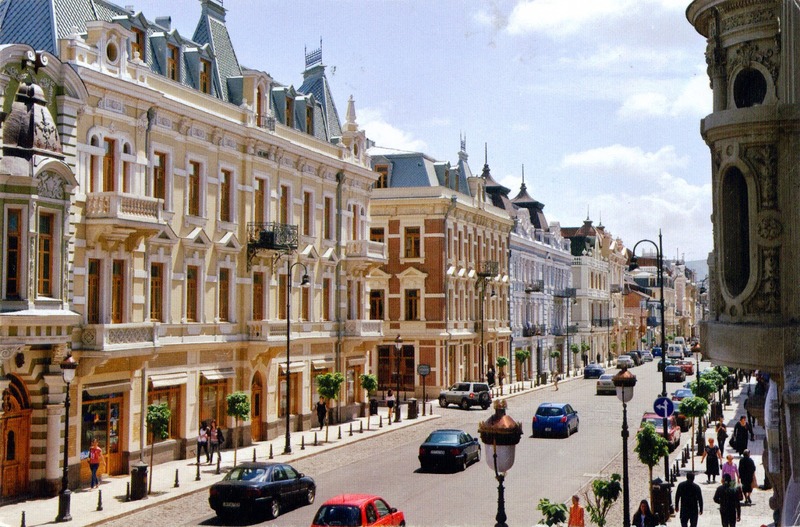 It was the capital of the eastern Georgian kingdom of Iberia from the 3rd century BC to the 5th century AD. 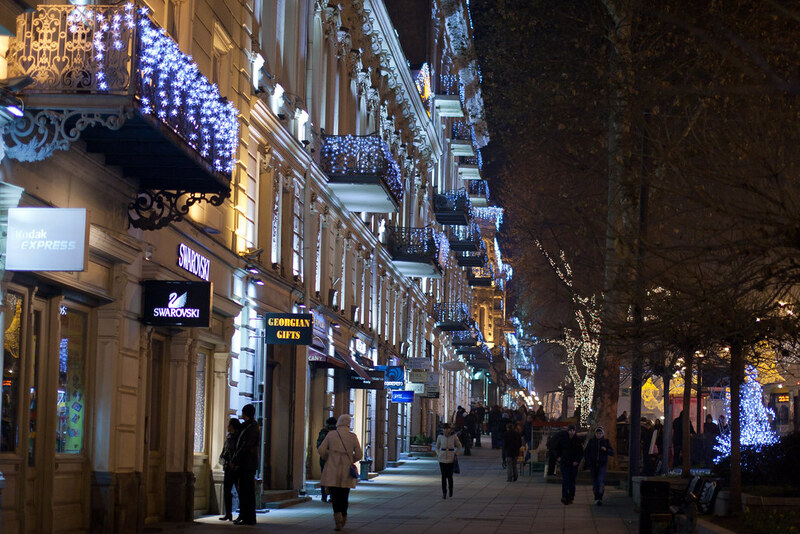 Walking though its beautiful and historical streets. Visiting Svetitskhoveli Cathedral– known as the burial site of Christ’s mantle, has long been the principal Georgian church and remains one of the most venerated places of worship to this day. 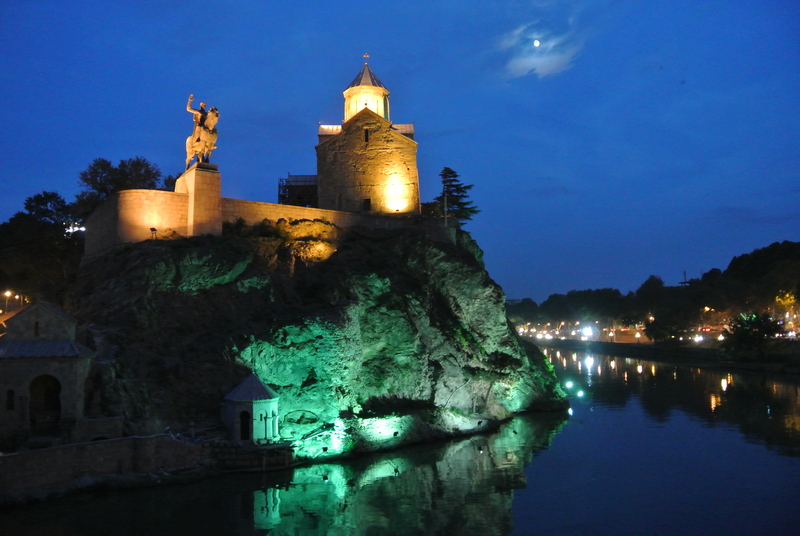 It presently functions as the seat of the archbishop of Mtskheta and Tbilisi, who is at the same time Catholicos-Patriarch of All Georgia. (6thcentury). 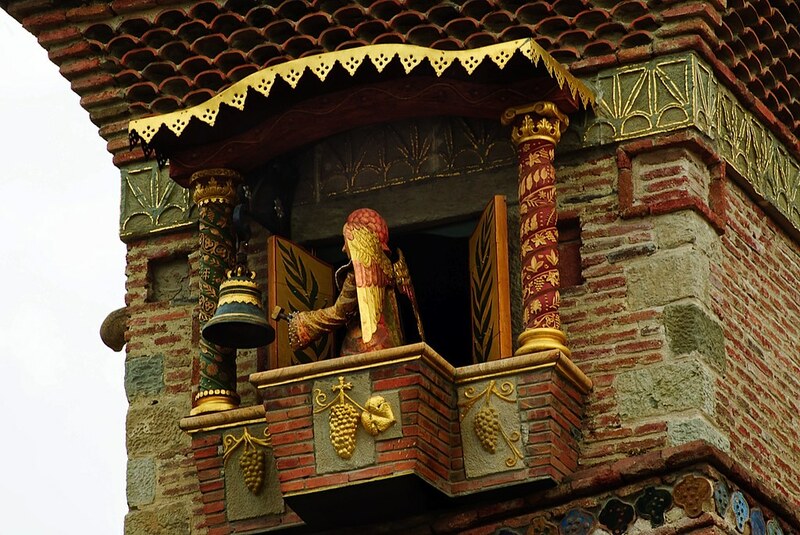 Visiting Jvari Monastery – The 6th century monastery of Jvari is situated on a cliff above Mtskheta. 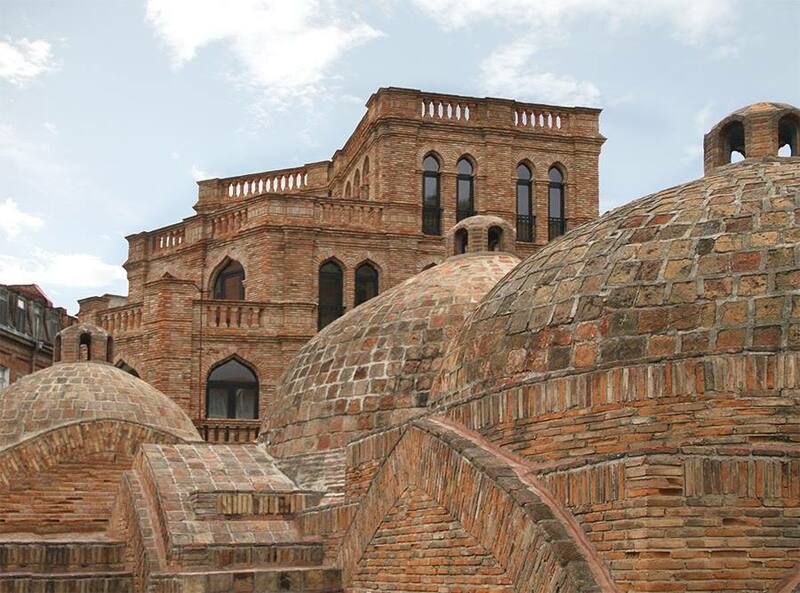 It is the culmination of a number of artistic and architectural aspiration in early Christian Georgian architecture. 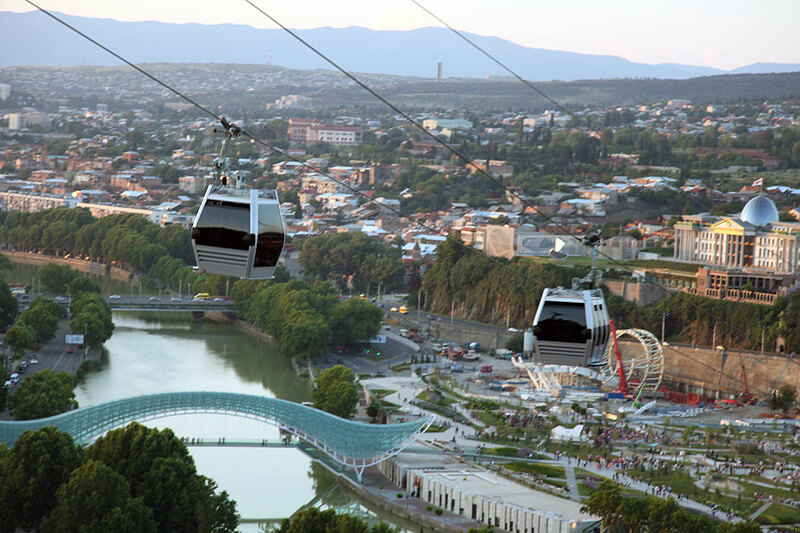 The Breathtaking view from above is great, where rivers Mtkvari and Aragvi joins. 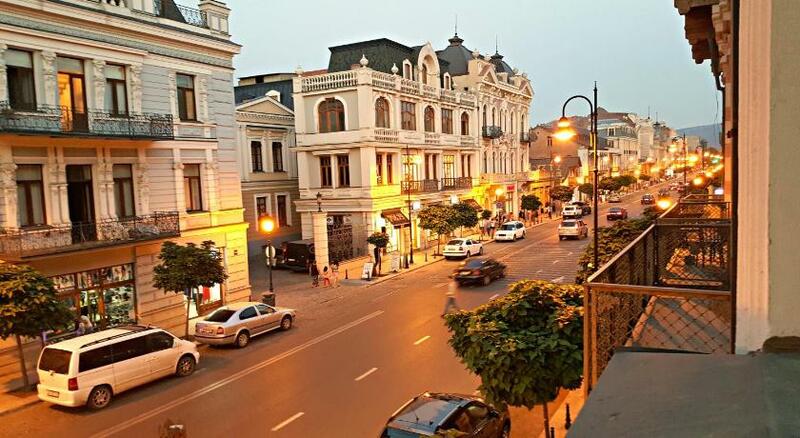 walk through beautiful renovated Aghmashenebeli avenue. 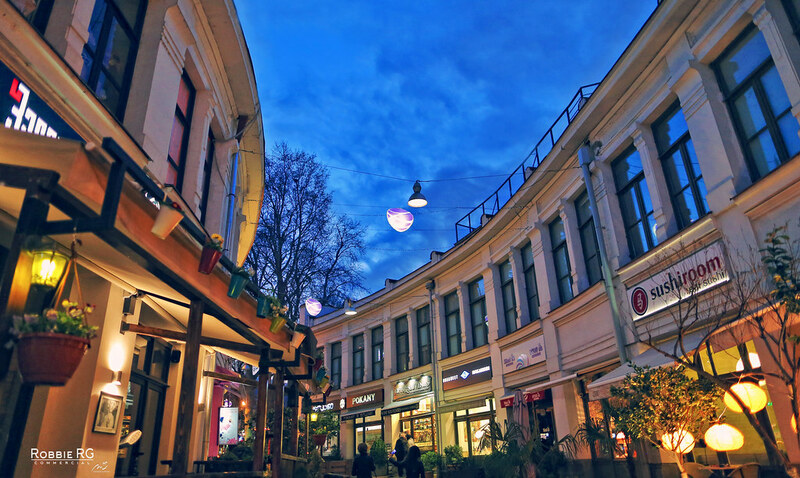 or East Point Tbilisi – Entertainment and big trading center. 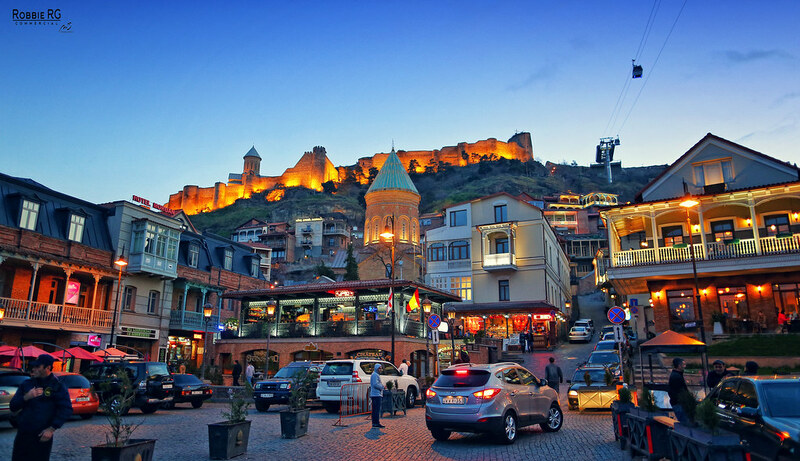 You will depart from Tbilisi early in the morning, in the direction of Kazbegi. overlooking a large Zhinvali Water reservoir . Its high, turreted stone walls protect two churches, a watch tower and a reservoir. The main church facade is beautifully carved with animal, floral and Celtic style patterns. Next stop on the way is Gudauri, a remarkable ski resort in Georgia. 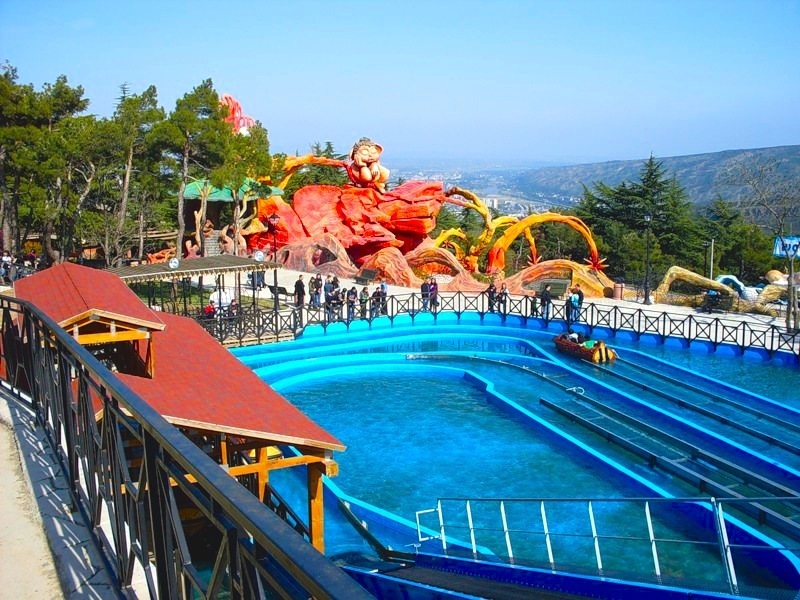 The resort is at the altitude 7217 feet (2200 meters) above the sea level. The first lower lift station is at 6528 feet (1,990 meters ) above sea level and the last, or top, station is at 3,306 meters called summit Sadzele. The resort offers high-quality skiing opportunities. 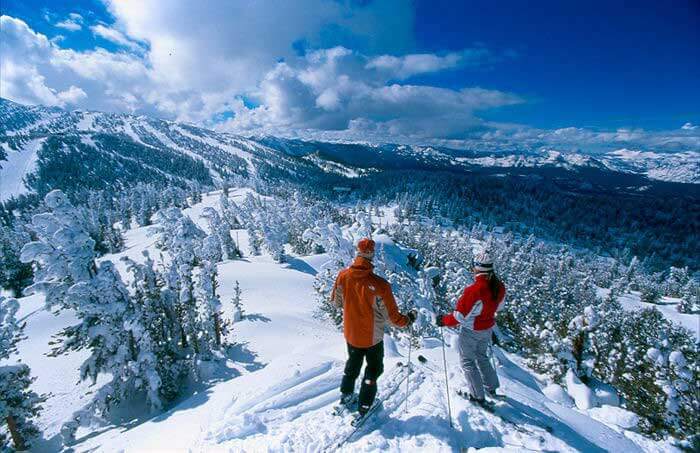 The ski season lasts from December through April. From Gudauri, you’ll continue your trip to Gergeti Trinity Church. At an altitude of 7119 feet (2,170 meters), the twelfth or thirteenth century monument was erected on the southern slopes of Mkinvarcveri. 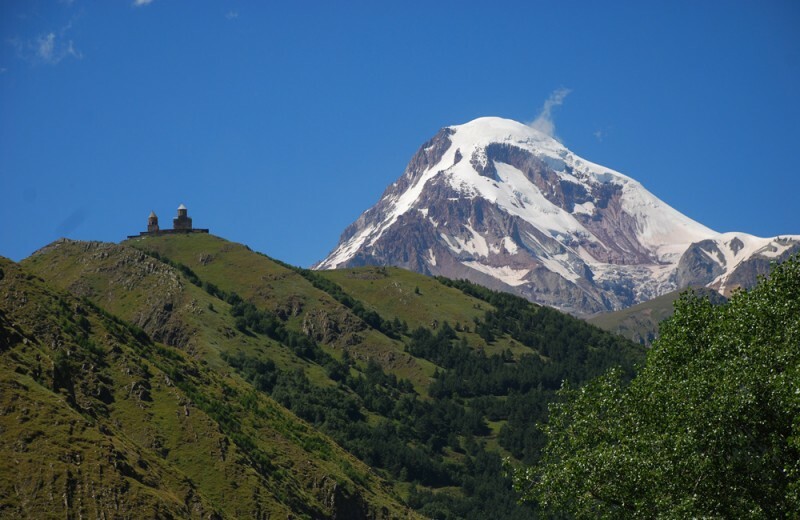 Gergeti Trinity Church is an important temple, remarkable for its beautiful scenery. 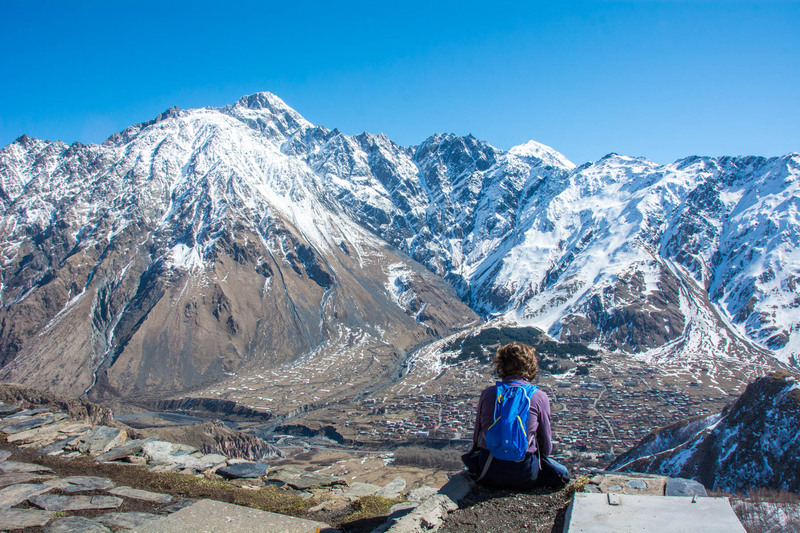 The Gergeti Trinity Church is set poignantly on a hill directly below the towering white massif of Mount Kazbegi, which sits at 5,033 meters. 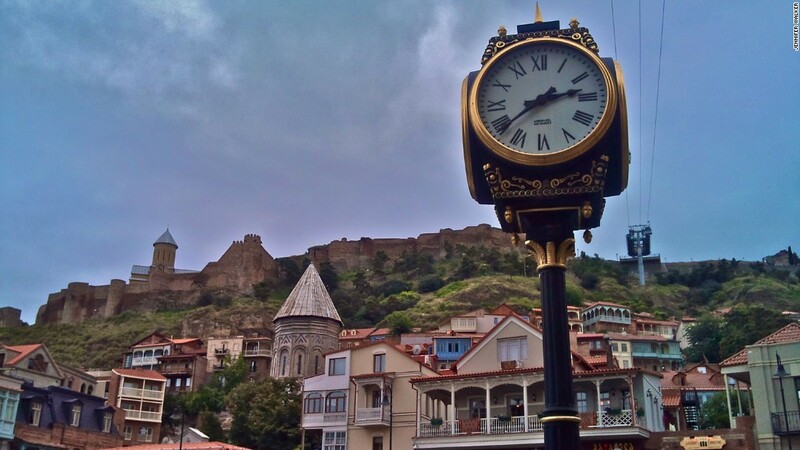 Built six hundred years ago, its stones have weathered repeated blizzards, rain and invasion to stand as a proud symbol of Georgian resilience in the face of adversity. It is the photographer’s perfect shot. 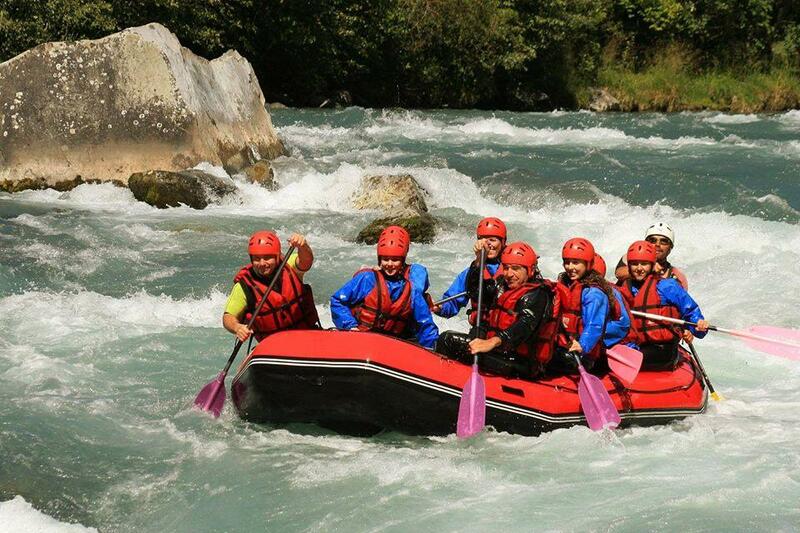 In case of wish you can try rafting near Ananuri on river Aragvi in any season of the year. 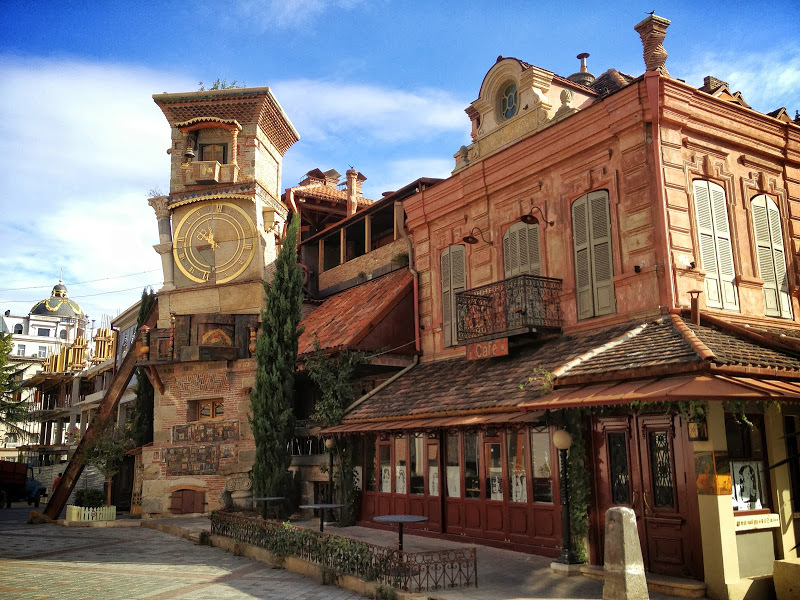 Have an unforgettable dinner at Georgian traditional restaurant with Georgian folk dances and song shows. 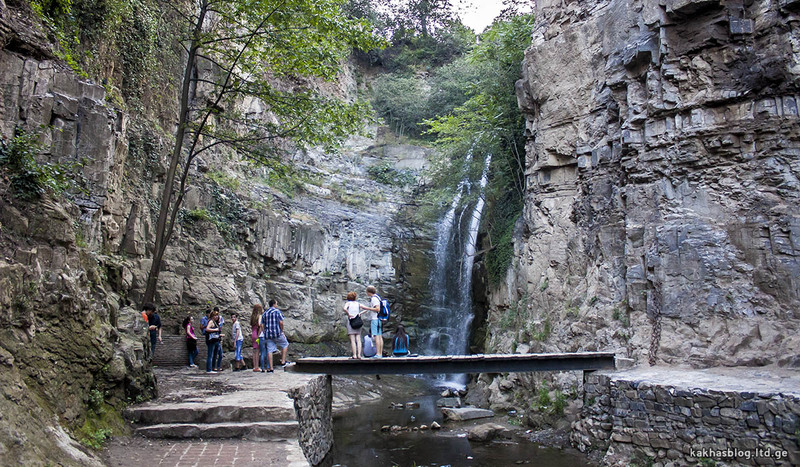 4 Day– going to Borjomi – a resort town famous for its picturesque Borjomi-Kharagauli National Park, and for its mineral water industry. (which is very helpful for stomach, intestine and abdominal system) – spending time and enjoying : A local tiny train meanders down through the forest to bring you to Bakuriani. On the way to the winter resort enjoy the dense forest and beautiful views. 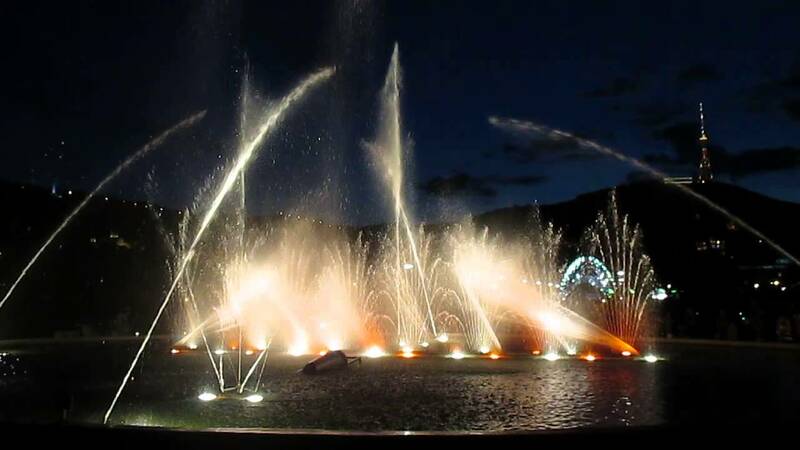 In this spa town you can visit the Summer Palace of the Russian Tsar and walk in Borjomi-Kharagauli national park, where we can try famous mineral water – Borjomi. Overnight in Bakuriani. 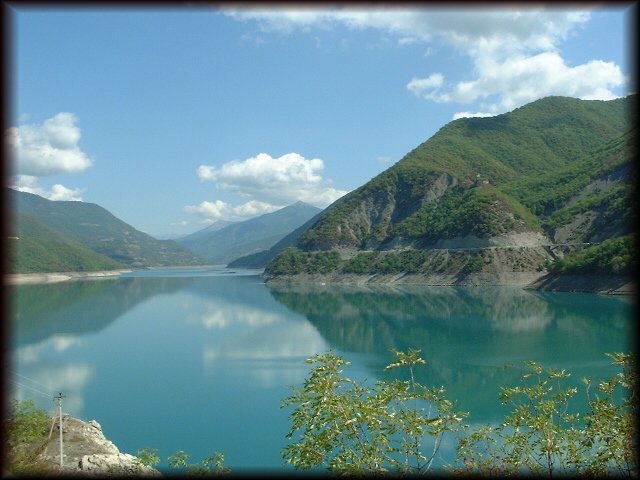 5 Day – Bakuriani tours is an excellent getaway to enjoy the mountainous nature of Georgia, where you can ski in winter; and take some treatment in the resort with healing springs in the off-season that is from March through November. It has been a popular skiing destination for over 100 years, and once skier sportsmen from all around USSR used to gather there for training. 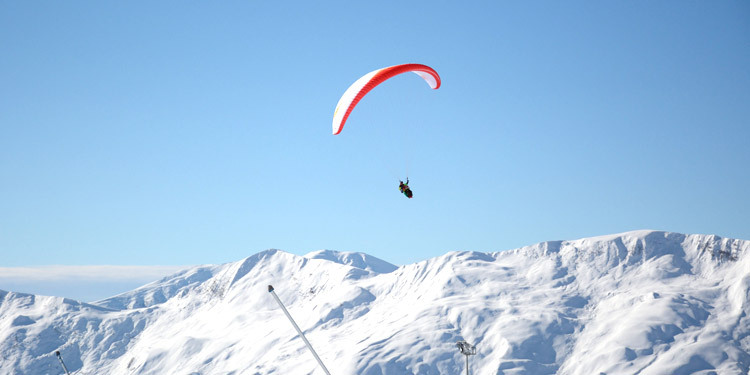 If you fancy skiing and snowboarding, then go with Bakuriani tours. You will definitely fall in love with this resort. Bakuriani is the most famous ski resorts in Georgia. 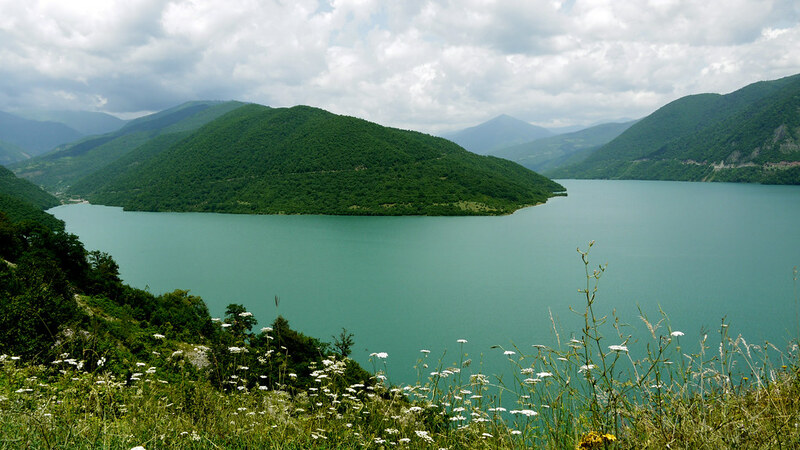 It is a small mountain countryside situated at the altitude of 1700 m above the sea level. 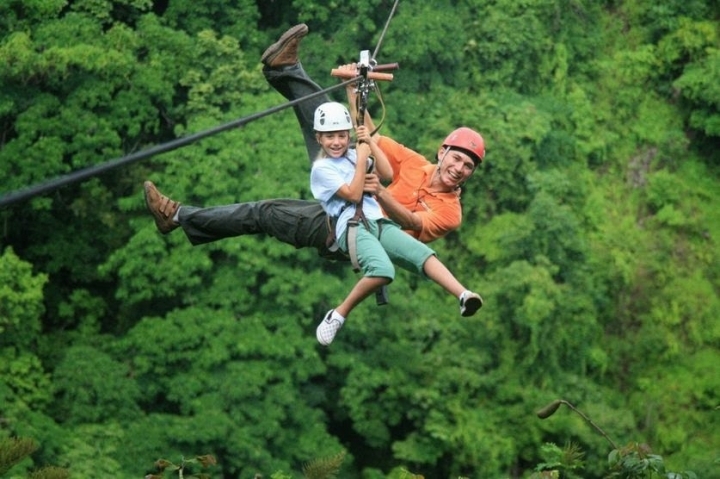 it is surrounded with mountains and fabulously beautiful forests. Dozens of alpine slopes and cross-country trails offer some of the most spectacular skiing opportunities in Europe. The hills and valleys around Bakuriani are ideal for snowmobiling. 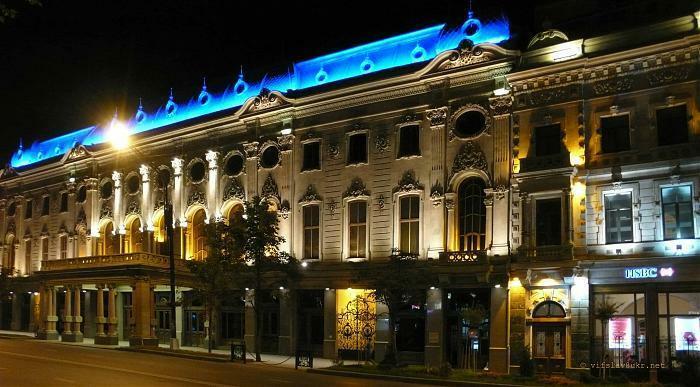 Modern, newly renovated hotels offer all the facilities for spending unforgettable time. 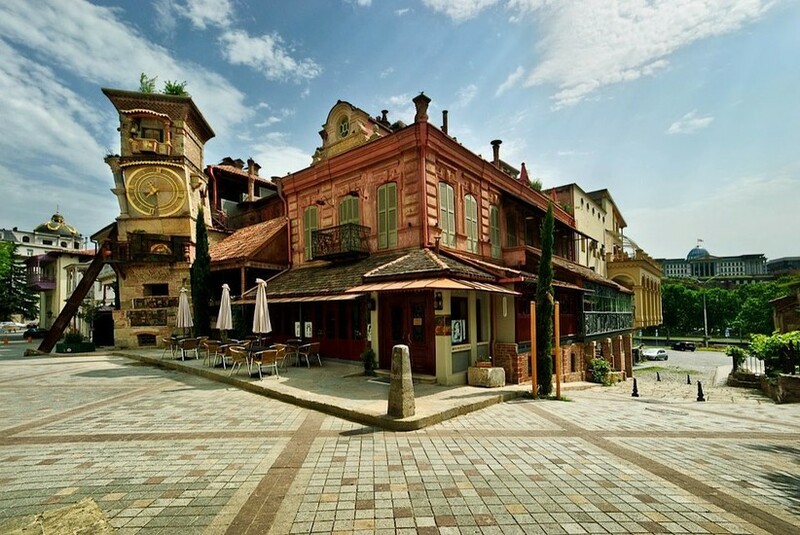 5,6,7 Day – Enjoying free time in Bakuriani. Developed service of this winter resort offers unlimited opportunities for skiers. You can try and enjoy all snow activities there.